If you have been accused of homicide, you may be facing the death penalty or life in prison. Do not put your life in the hands of an inexperienced attorney! It has never been more important to obtain the best legal representation available from a highly experienced and skilled criminal defense lawyer. 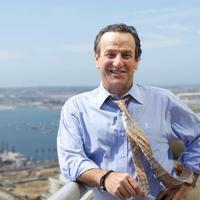 Attorney Michael S. Berg has handled nearly 40 homicide cases during his 28 years of criminal defense work and he is one of the most trusted and successful lawyers in San Diego or anywhere in California; in fact, lawyers, judges and other legal professionals constantly request that Michael represent them when they are in trouble. Contact Attorney Michael S. Berg for an immediate free consultation by calling 619-239-2186. Because homicide is one of the most serious of all criminal offenses, it is vital to obtain the legal representation of an experienced, skilled and successful San Diego homicide attorney. Attorney Michael S. Berg has represented clients in almost 40 murder offenses. Attorney Michael S. Berg is a California Bar Certified Criminal Law Specialist. Additionally, he has been selected as a Super Lawyer for the past five years – one of the highest honors an attorney can attain and a reflection of his legal professionalism and client dedication. Attorney Berg has more than 28 years of experience representing clients who have been accused of virtually every offense in the California Penal Code. Attorney Berg understands the seriousness of the homicide/murder charges that you are facing and he realizes that your life and future is at stake. He will take your case to heart and mount an aggressive, decisive, potent legal defense. If you have been charged with homicide/murder in San Diego, contact The Law Offices of Michael S. Berg for a free consultation. You will have the opportunity to discuss your case and to review your available options. You want an experienced, successful and skilled criminal defense attorney on your side at the earliest possible time. Contacting your attorney at the earliest possible time may be the most important action you can take to help yourself. Contact Attorney Michael S. Berg in San Diego by calling 619-239-2186.